Picture this: You've seen the shows, eaten at all the buffets, and visited your fill of themed casinos. But you still have some time to spend in Las Vegas, and decide to go on a day trip. 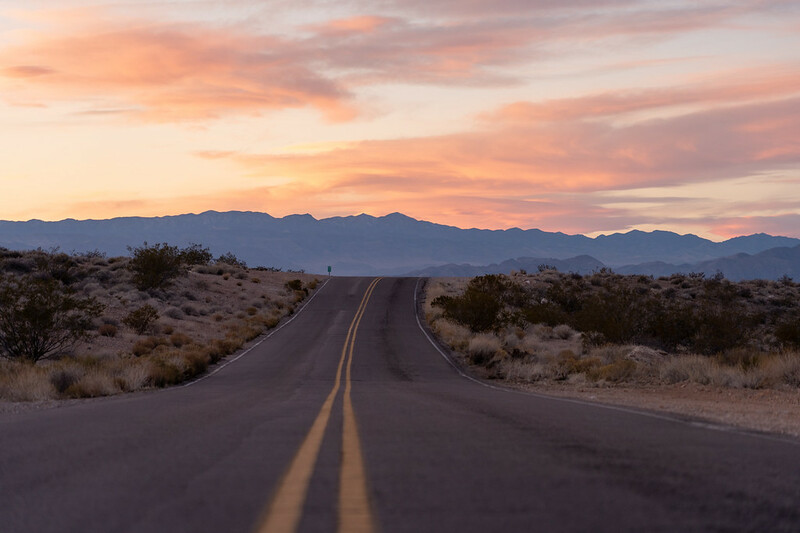 There are several options for day trips from Las Vegas. You could go see the Hoover Dam, or visit the West Rim of the Grand Canyon, or maybe even try to make it to Death Valley. But the Hoover Dam won't really fill a whole day. The West Rim of the Grand Canyon is perhaps . And Death Valley is 2.5 hours away, meaning it requires a lot of driving for a day trip. So where can you go that's close to Vegas, not too expensive, and will truly give you a taste of the Nevada desert? You can go to Valley of Fire State Park. 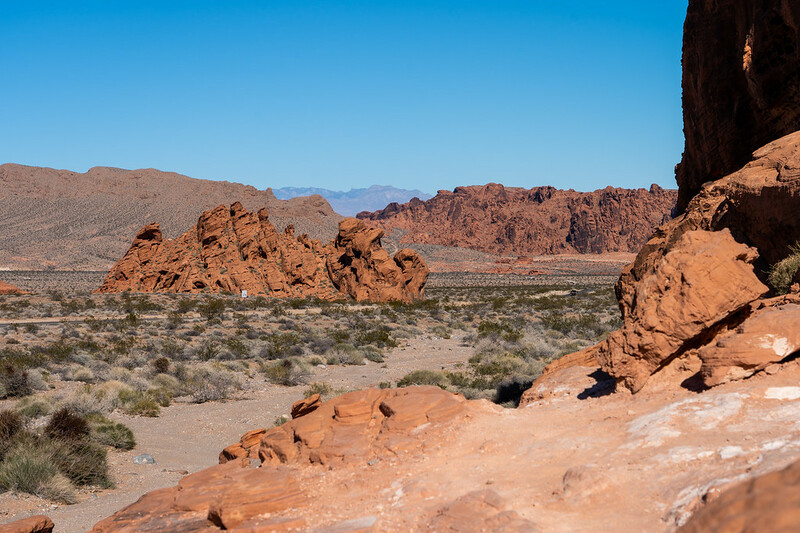 Located about 50 miles northeast of Las Vegas in the Mojave Desert, Valley of Fire makes for an easy day trip. Just hop on I-15, and you'll be there in under an hour. 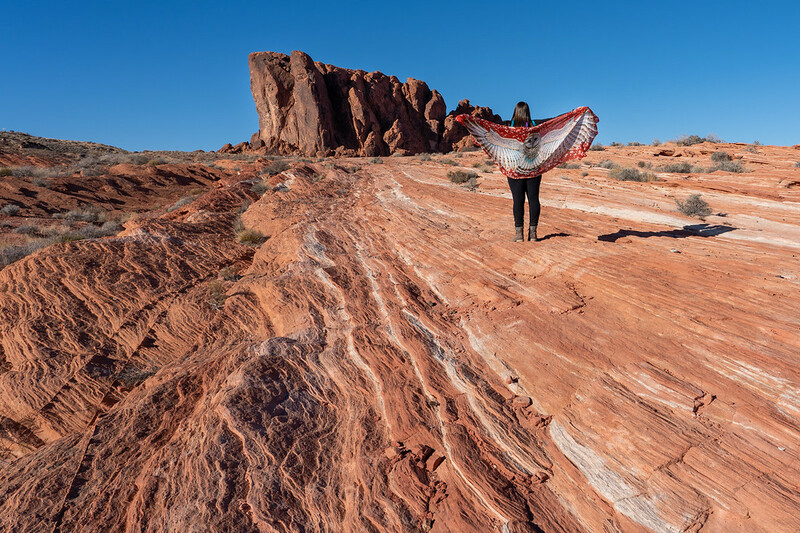 Valley of Fire State Park covers more than 40,000 acres and is known for its bright red sandstone rock formations, petrified trees, and petroglyphs that date back thousands of years. 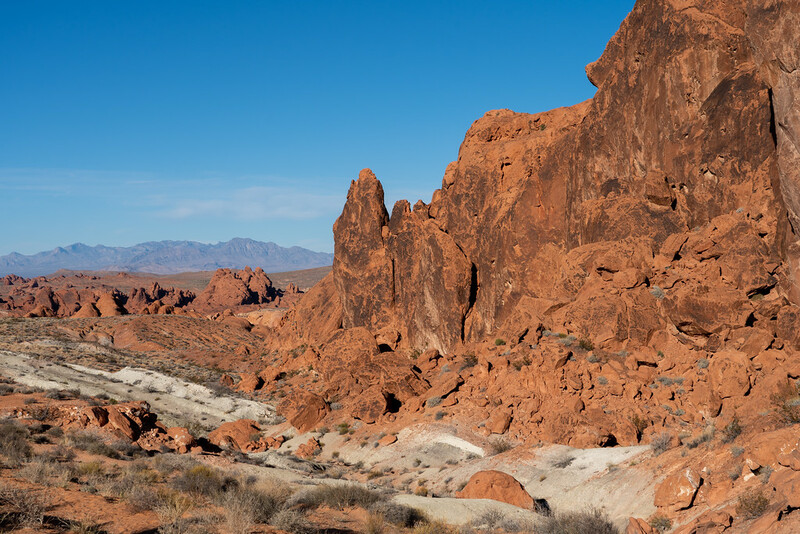 The area is so stunning that it was made Nevada's first state park in 1935. But the thing that truly makes Valley of Fire the best day trip from Las Vegas? The park isn't *too* big, making it the perfect size to explore in just one day. 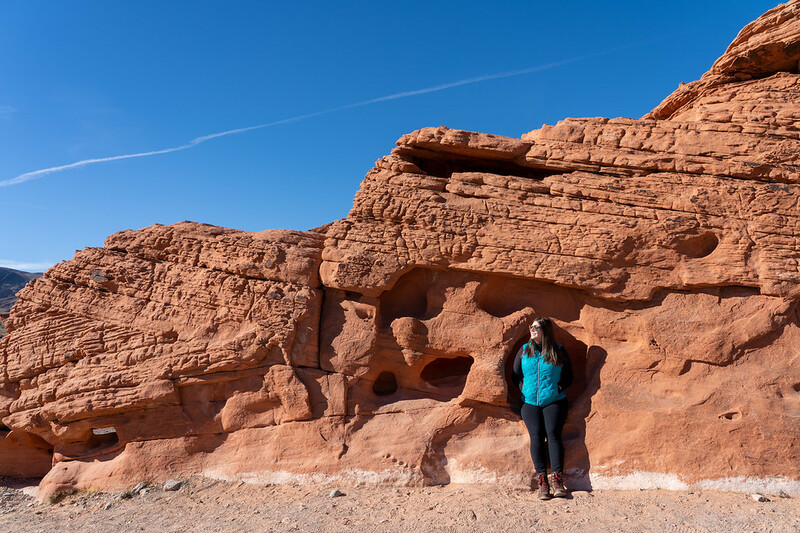 I visited Valley of Fire with a friend in December, meaning I didn't really have a full day at the park (in the winter, the sun sets at 4:30 p.m.!). But I was pleasantly surprised by how much we managed to see anyway. 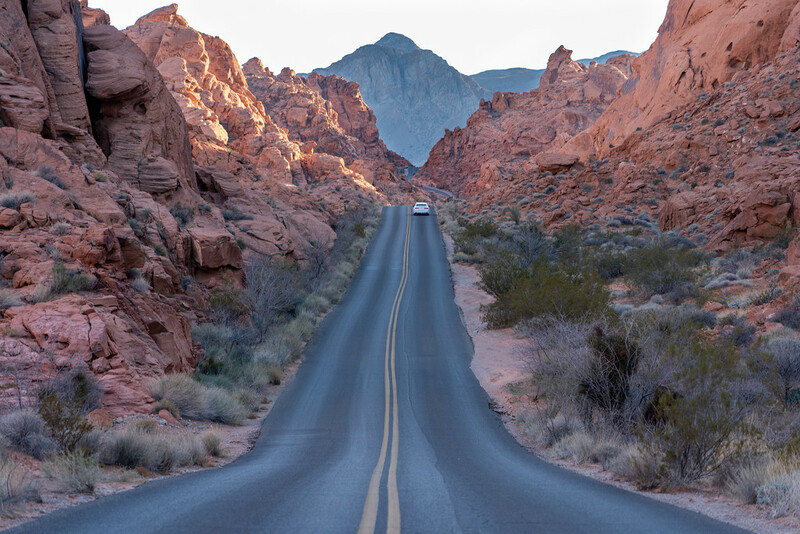 You'll enter Valley of Fire State Park from I-15, and drive along the Valley of Fire Highway for a few miles before reaching the West Entrance Gate. The first real sight you'll see after entering are the Beehives, a collection of orange rocks, many of which do indeed look like giant beehives! You can have fun with photos here! There's a decent-sized parking lot here, so it's a good spot to make a quick photo stop. You'll see lots of people climbing up and into the rocks here, and there are lots of fun photo opportunities. From the Beehives, I would skip the other turnouts for now and head straight to the visitor center in the middle of the park. Here you can find some interesting exhibits covering the history (both geological and human) of the area, as well as the local flora and fauna. This is a great spot to fill up your water bottle and use the restroom. You could also do a quick hike to see the Balancing Rock; the trail starts at the visitor center. From the visitor center, head onto White Domes Road and through a spectacular Mars-like landscape. I recommend skipping the shorter hikes and viewpoints for now and heading straight for the last parking lot (P3) at the end of the road. From here, you can start on the Fire Wave trail before it gets too hot. 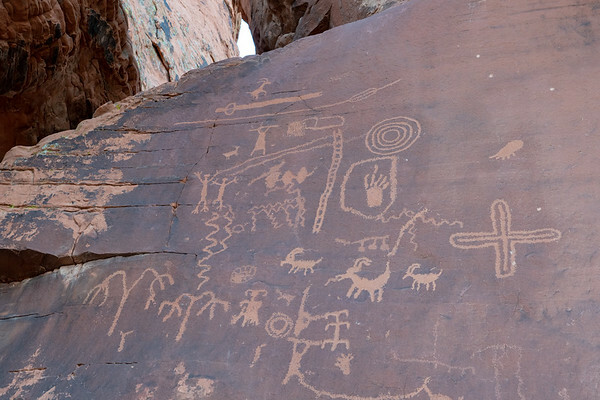 The Fire Wave wasn't always listed on Valley of Fire maps, and the trail wasn't always marked. But it's become such a popular spot that it's now very easy to find. The trail starts across the road from Parking Lot 3. 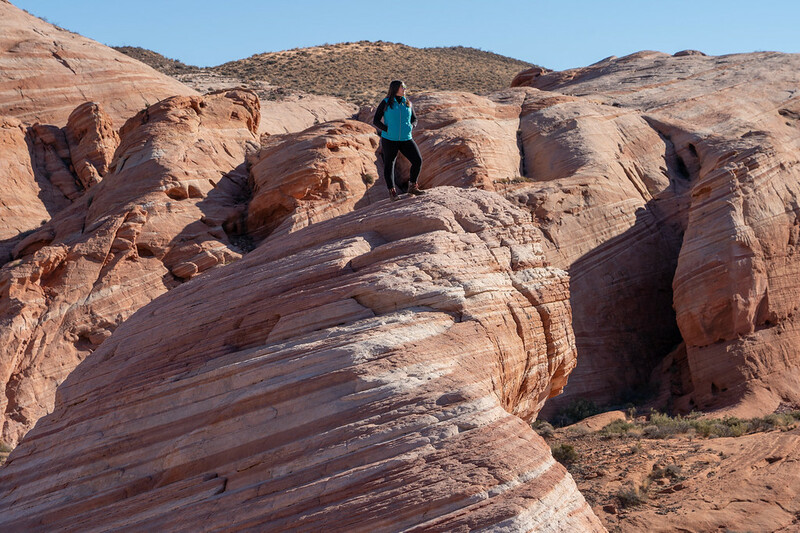 When I was researching how I wanted to spend my day in Valley of Fire, one hike kept coming up as the “best.” And that's the hike out to the Fire Wave. 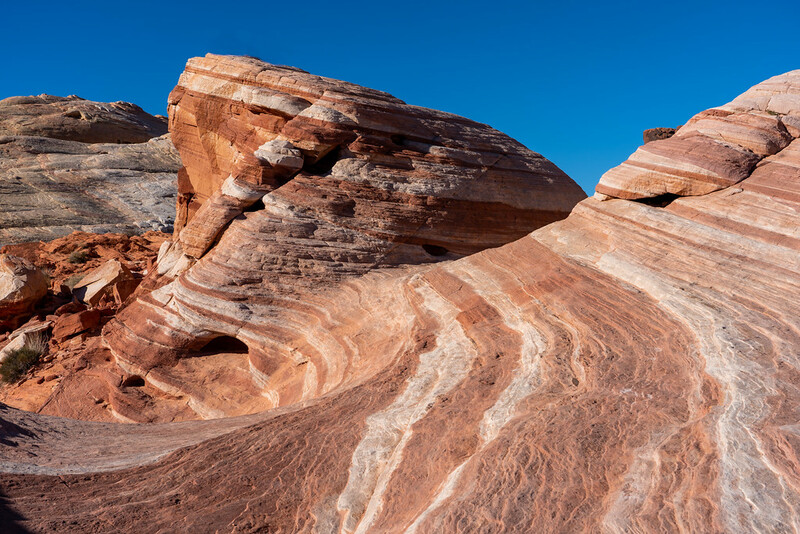 If you've ever seen photos of in Arizona, the Fire Wave in Nevada is kind of like a mini version of that – except the Fire Wave trail is much shorter, and doesn't require you to enter a permit lottery in order to hike it! The Fire Wave trail is actually fairly easy. 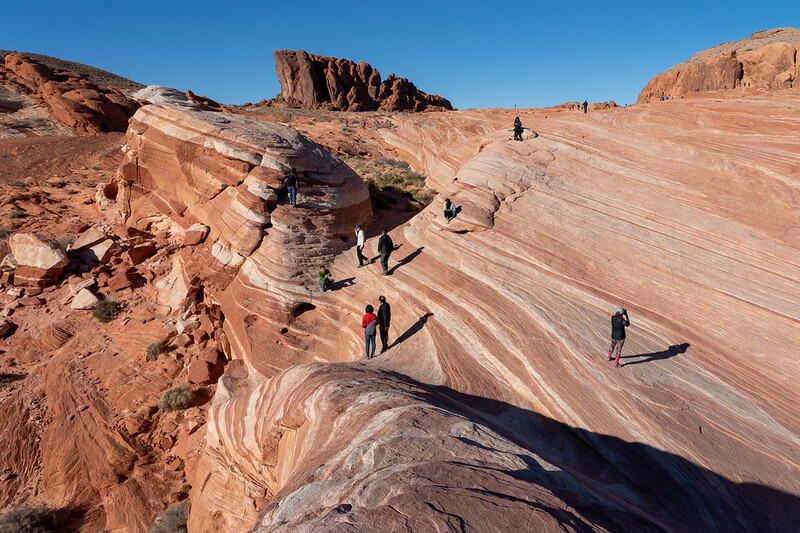 You'll hike past some rock formations on a sandy trail first, and then over stacked slickrock until you get to the “wave.” The Fire Wave truly does look like a wave of rock, with alternating layers of red and white stone. 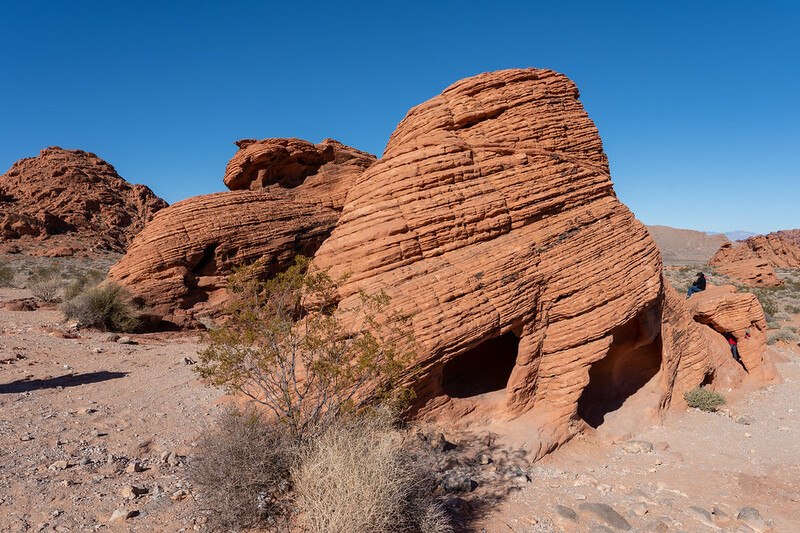 Much of Valley of Fire was formed when sand dunes leftover from an evaporated inland sea were shaped and hardened by the wind. Looking at the Fire Wave, it's very easy to see the whole area as undulating waves of ancient sand. It's an incredible place. My friend and I took our time on this hike, hanging out at the Fire Wave long enough to take lots of photos and enjoy a picnic lunch. Good to know: There is NO SHADE on this hike. It's a good hike to do in the autumn, winter, and early spring, but if you're going to hike to Fire Wave in the summer, I recommend tackling this as early in the day as possible! 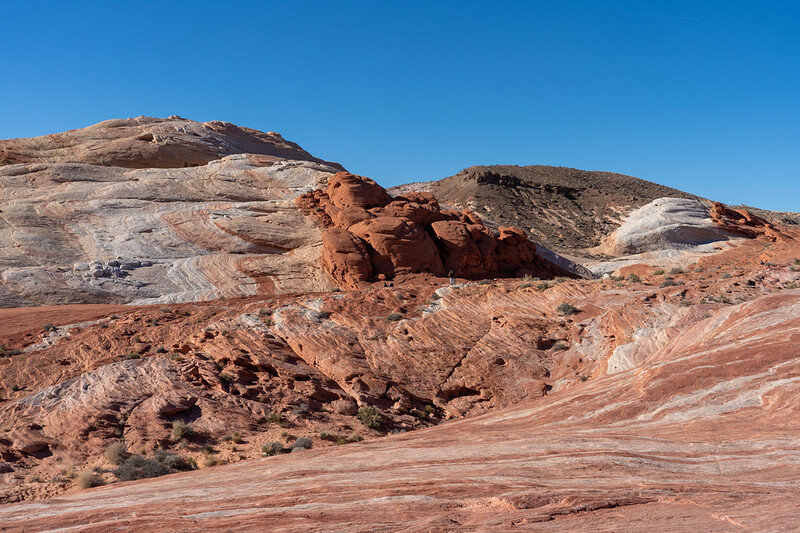 If you have time and want to do one more hike, the second-best hike in Valley of Fire is probably the White Domes trail. This loop hike starts from the same parking lot as the Fire Wave trail; it just starts on the same side of the road as the parking lot. The White Domes trail is another short and fairly easy hike, apart from a steep descent/ascent at the beginning and end of the loop trail. The trail takes you through some changing rock formations, including large boulders and a small slot canyon. You'll even pass the remains of an old movie set from the 1966 movie The Professionals (Valley of Fire has hosted quite a few over the years!). While perhaps not as visually impressive at the Fire Wave, the White Domes trail is still pretty cool; the slot canyon portion is definitely worth seeing if you've never been inside a slot canyon before. You've already driven White Domes Road (sometimes also called Mouse's Tank Road) once from the visitor center, but I recommend making some photo stops this time through. There are several pull-outs and trailhead parking lots on your way back to the visitor center, so you can use your own judgment on where to stop. The Rainbow Vista trailhead is a popular one to stop at to snap some photos. If you want “the” photo of the road that runs through the park here, I did the research for you to find the perfect spot to stop (and yes, it took several tries!). On your way *out* of this part of the park, after you pass the Rainbow Vista parking area, the road bends to the right and begins to descend into the “canyon.” Immediately after this bend, there's a gravel pull-off that's large enough for 1 or 2 cars on the right side of the road just behind a tall rock. Park here, climb the rock, and boom: famous view. As always, please be careful when climbing rocks or taking photos in the road. Also note that there are parts of this road where roadside parking is NOT allowed. Pay attention to the signs, and only pull over where there is room. My friend and I just walked up the road to see Elephant Rock from below, but there's also a short trail from the parking lot that will take you up and slightly behind Elephant Rock for a different vantage point. The only thing you should NOT do here is climb on the rock formation itself. Since we were going back to Las Vegas (i.e. leaving the park the same way we came in), we left Atlatl Rock for last. This site is closer to the West Entrance of the park, near the campground and not far from the Beehives. We didn't visit it on the way in since we wanted to make sure we had enough time for the hikes we wanted to do. It makes an excellent last stop on your way out of Valley of Fire. Atlatl Rock is a big rock formation that has some of the park's best petroglyphs carved into its side more than 50 feet off the ground. 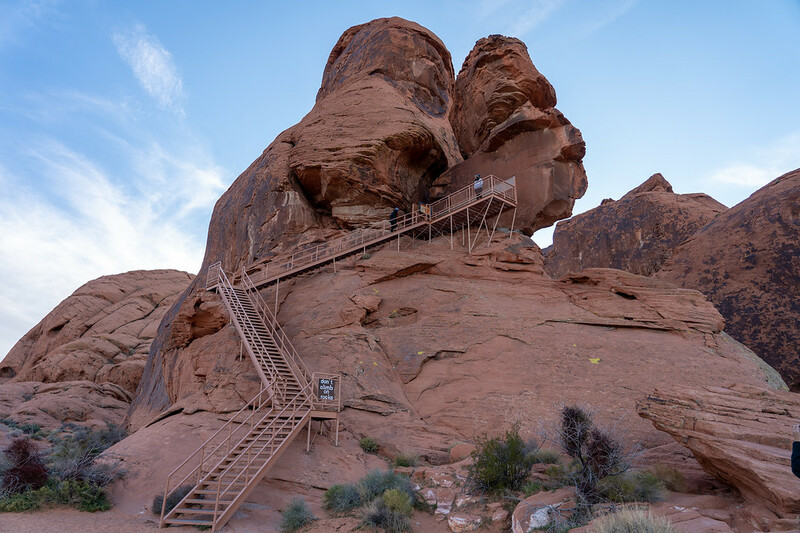 In order for you to see the petroglyphs up close, the park has built a staircase that takes you right up to them. 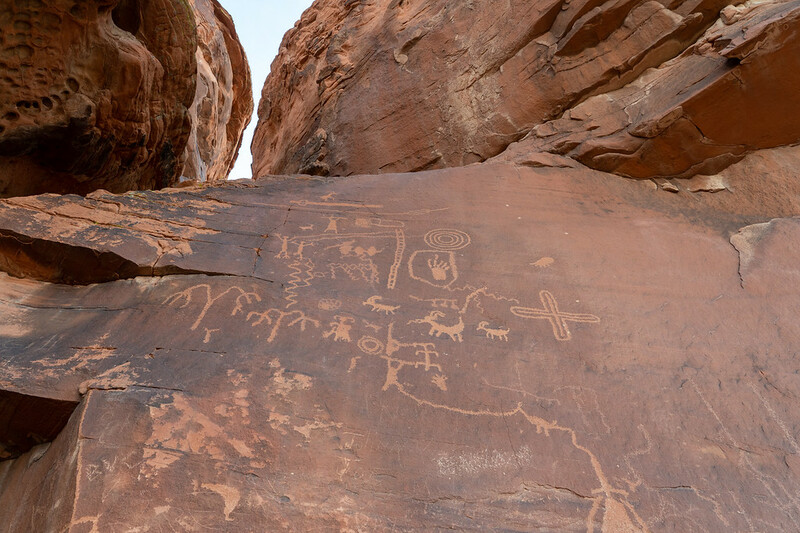 These petroglyphs were carved thousands of years ago, which is pretty mind-boggling – especially when you see how clear they still are. Just please, please, whatever you do, do NOT give in to the urge to carve your own mark into this rock. Let's leave the petroglyphs in tact for future visitors to enjoy. By this point, you've seen the highlights of Valley of Fire. On my own visit, the sun was setting as we left Atlatl Rock, so we made our way back to the highway since the park is only “officially” open from sunrise to sunset. Mouse's Tank – A short hike takes you through Petroglyph Canyon to a natural basin called Mouse's Tank. It's named after a Paiute man named Mouse from the 1800s who it's said would hide out in this canyon. Pink Canyon – It's not on any park maps, but you can find Pink Canyon (also called Pastel Canyon) at Wash No. 5. There's a small pullout at Wash 5 (marked with a small “5”), or you can park at Parking Lot 3 and walk down to the wash. Follow it for a couple minutes into a canyon that really is pink! 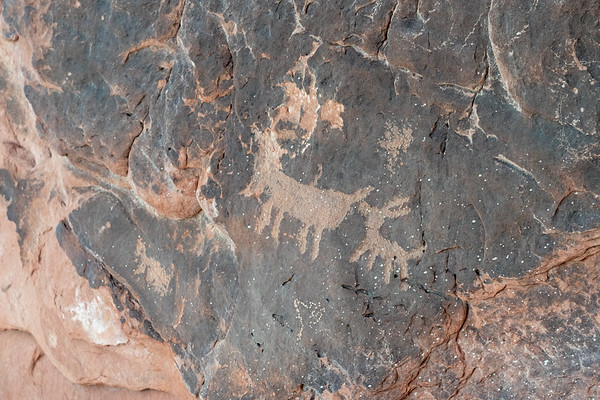 You should also keep an eye out for desert wildlife in Valley of Fire. You're likely to see big horn sheep all throughout the park, as well as smaller critters like lizards and (maybe) desert tortoises. There are also animals like coyote, bobcat, kit fox, and jackrabbit here, though they're mostly nocturnal. 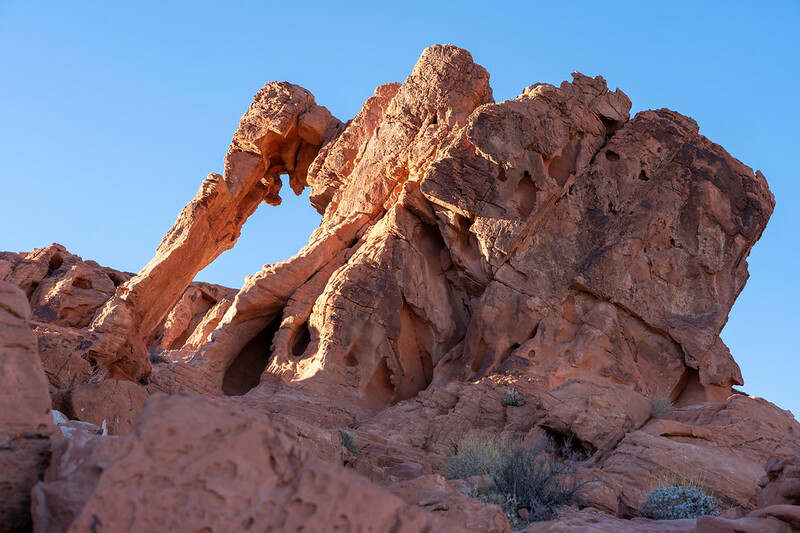 Check the weather – Valley of Fire is in the middle of the desert, and that means extreme temperatures. Days are usually mild in the winter, but in the summer daytime temperatures can easily soar above 100 degrees F. If you're going to hike in the summer, plan to start as early as possible. Also keep an eye on flash flood warnings. That might sound silly in the desert, but Valley of Fire has slot canyons and washes and other areas that can flood FAST during a thunderstorm, or even sometimes if there's a big storm miles away. If you're unsure about these risks, check in at the visitor center before doing any hiking. Pack sun protection – As I mentioned above, the Fire Wave trail offers no shade at all. And yes, you can absolutely still get a sunburn in the winter. Be prepared with sunscreen, or at least a hat and sunglasses to protect your face and eyes. Bring a picnic lunch (or dinner) – There aren't any food services inside Valley of Fire. The closest place to get food is at the Moapa Paiute Travel Plaza that's at the exit when you get off I-15. But driving back there for lunch will cut into the time you have in the park. Instead, I recommend packing a lunch that you can eat inside the park (just be sure to dispose of your trash properly!). 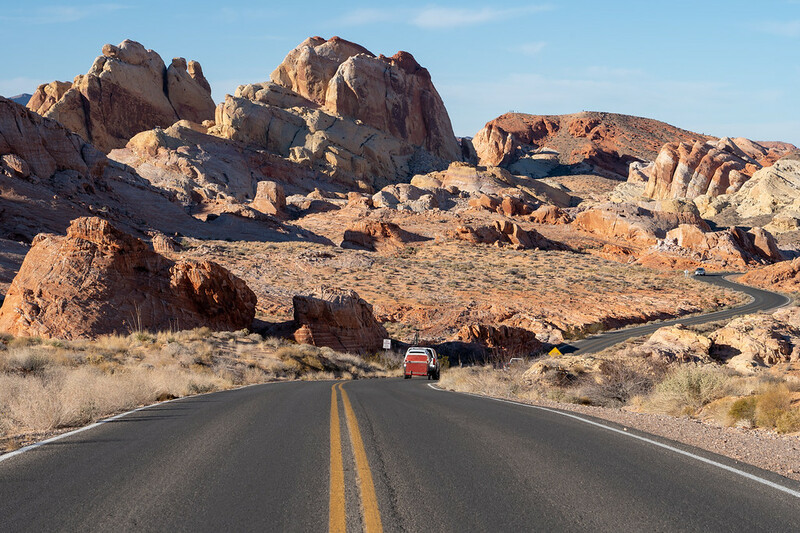 The best way to explore Valley of Fire State Park is by self-driving. But I realize that not everyone can or wants to drive while traveling. If that's the case for you, there's good news! 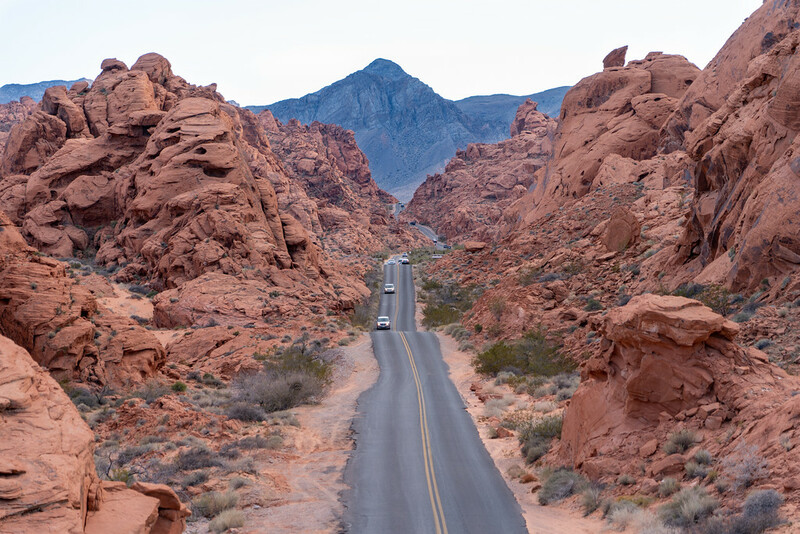 Several tours can take you from Las Vegas to Valley of Fire for a day. 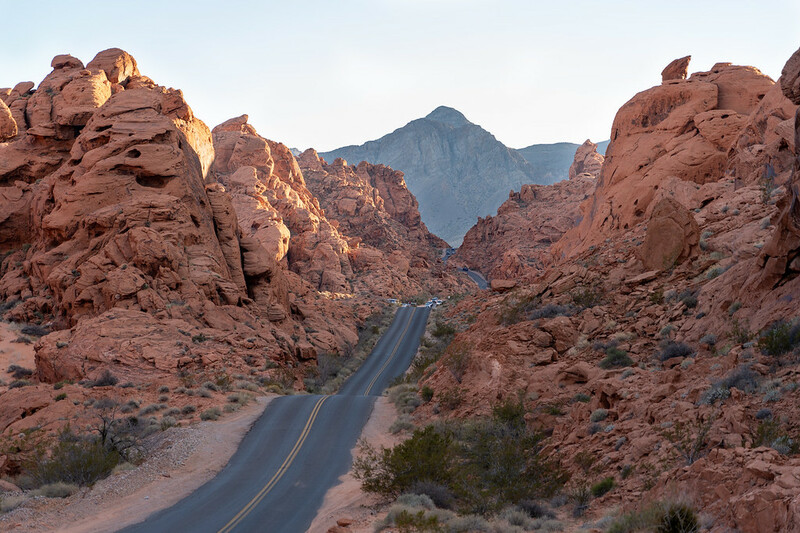 Are you convinced to take a day trip to the Valley of Fire? Valley of Fire is awesome alternative to Death Valley, with less crowds of tourists and as you said, it require less driving time. The state parks in the Southwest are really incredible, and usually much less crowded than nearby national parks! 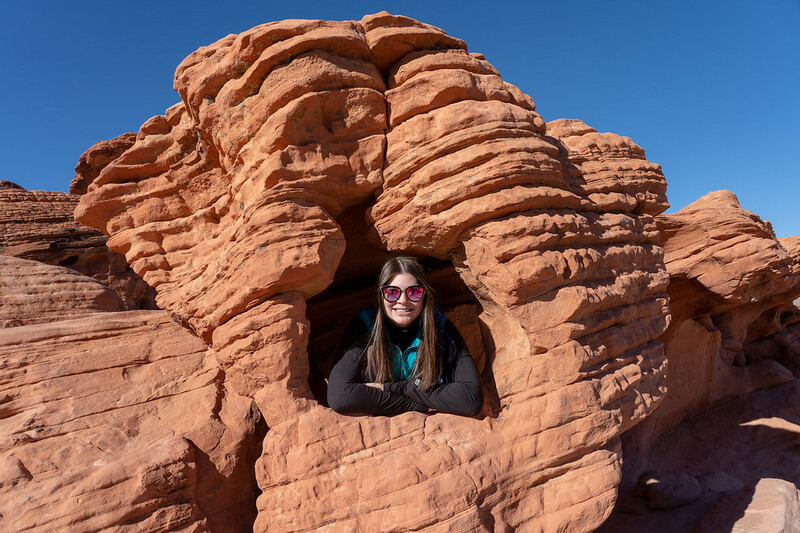 Valley of Fire is especially great for people who want a little break from Vegas! this post is good. nice images. nice petroglyphs and thank you for providing information. This indeed looks like a fun day trip destination! It also looks like a great place to visit in either winter or autumn, as there are so many spots without any shades. How could you survive here in the summer? It’s not a place I’d really enjoy visiting in the summer, that’s for sure! I’ve been to deserts during the summer (like that one time I visited Arches National Park in August when it was like 105 degrees), and it’s not my cup of tea! Wow, this looks amazing! I’ll have to add it to my upcoming Southwest itinerary. Yes, I would definitely go if you can work it into your itinerary! I live in New Zealand and in June 2018 did a solo 2,500km drive and hike right around Grand Canyon, from Las Vegas clockwise back to Las Vegas, visited Valley of Fire, Bryce Canyon, Antelope/Rattlesnake Canyons, Horseshoe Bend, Sedona, Route 66, GrandCanyon, and except for Antelope/Rattlesnake Canyon photo tour the best place I visited was the Valley of Fire, I loved it so much I am planing another trip back to Valley of Fire this year. It’s definitely a special place that often gets overlooked for the more famous national parks nearby – I’m glad to hear you discovered it!